New Balance New Balance 998 x CNCPTS "Boston Marathon"
New Balance 998 x CNCPTS "Boston Marathon"
New Balance and Concepts celebrate the 2016 Boston Marathon with the release of the New Balance 998 x CNCPTS "Boston Marathon." The sneaker features a patriotic mix of royal blue, red, white and black with reflective hits on the tongue, croc embossed reflective hits and “Boston 2016” embroidered on the heel tab. Release date is April 18, 2016 exclusively on the CNCPTS e-store. 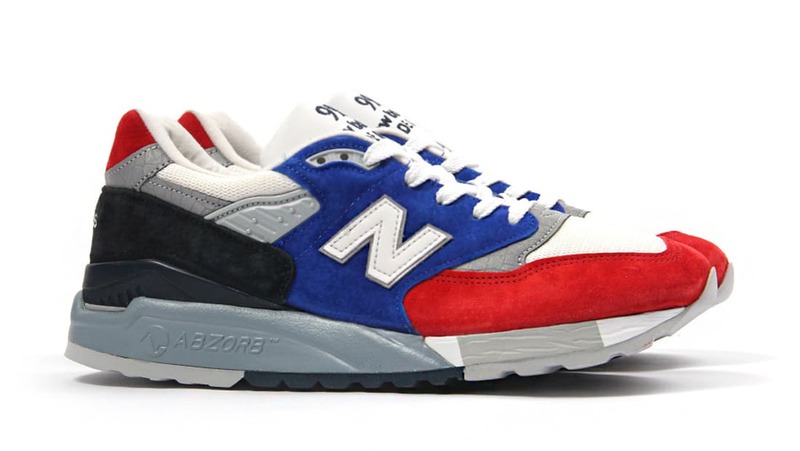 News New Balance 998 x CNCPTS "Boston Marathon"